As my cohort Don has mentioned, GoodeJuice is a new supplier of e-liquid and do-it-yourself (DIY) flovorings. After reading his review expounding the virtues of Goodebacco and House Blend, I decided to order some along with a couple of DIY flavorings I needed. I am now absolutely hooked on the House Blend, which has a great tobacco flavor and outstanding throat hit. 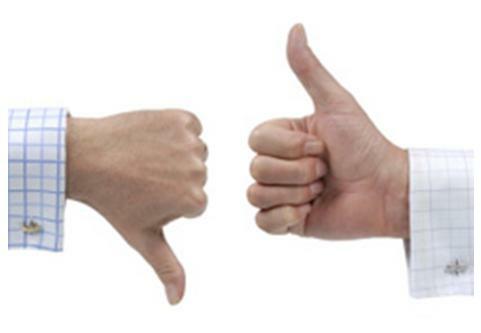 I didn’t care for the Goodebacco quite as much. It has a nice deep caramel tobacco flavor, but is just a little too sweet and heavy for my tastes. Beyond their great selection of premixed juices, however, GoodeJuice also carries quite a nice array of flavorings for DIY e-juice creation. Most flavors are from Flavourart, which is where many of my favorites originate. I ordered some flavorings that I wanted to try and they were kind enough to throw in a few additional flavors for review. E-juice preference is very subjective and DIY concoctions are even more so, but hopefully the following descriptions can be useful. I started with these flavors at around 10%, but would suggest starting a little lower to adjust to personal preferences and devices. The Rose Tobacco extract is very true to its title, leans heavily toward the rose. Both the flavor and the exhaled vapor are very similar to smelling a fresh cut rose. The tobacco doesn’t come through much at all, but I suspect it helps to keep this flavor from becoming too perfume like. This is a flavor that is enjoyable in limited doses and may have potential for mixing with other more subdued flavors. This was an unexpected treat. The flavor of honey is powerful and unmistakable, but there is a definite undertone of tobacco and a hint of smokiness. On its own Honeywood is a very enjoyable vape for extended periods. I have also found that a 30%/70% mixture of Honeywood and Latakia makes for a pretty good vape. This is a good added sweet flavoring for any number of creations. I have never been much of a cigar aficionado, but Tuscan Reserve reminds me of a good one. Unlike some other cigar flavors that I’ve tried, this one is not overwhelmingly “green” tasting. The exhale in particular is very much like a smooth cigar. This is very enjoyable on its own and I haven’t really found a combination that adds anything to it. I’ve seen this flavor described as ginger ale and that a perfect description. On its own, that’s exactly what it tastes like. This is a good flavor to give a little extra flavor to tobaccos and is also good mixed with caramel and fruit flavors. This one tastes just like it’s supposed to and isn’t that great on its own. Just like its edible counterpart, however, its a great addition to various recipes. I have found that it flavors tobaccos nicely. Unlike many sweet flavors, it is very subdued and doesn’t overpower when adding that hint of sweetness. 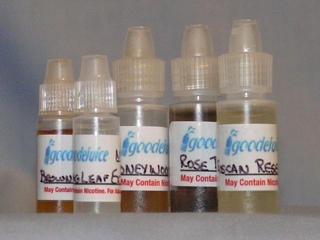 With such a great selection, GoodeJuice has definitely earned a place in my flavoring vendors list. GoodeJuice is a new supporting supplier here at Vaping Guides, and we are proud to have them on board. We strive hard not to let this fact get in the way of an impartial review, however.